Open house: Sunday, Dec. 11 from noon to 1:30 p.m. 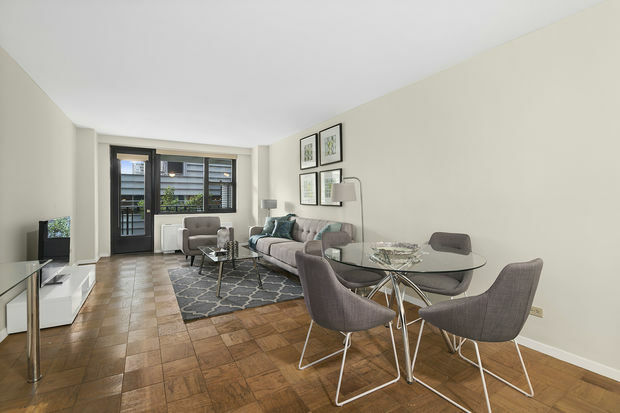 This one-bedroom apartment in Belmont 79, which has dropped in price by $24,000, has a bedroom with parquet flooring, a separate dining area and kitchen, and a “generously” sized living room with tons of closets. Tenants have access to a central laundry room. Open house: Saturday, Dec. 10 from 1 to 2:30 p.m. 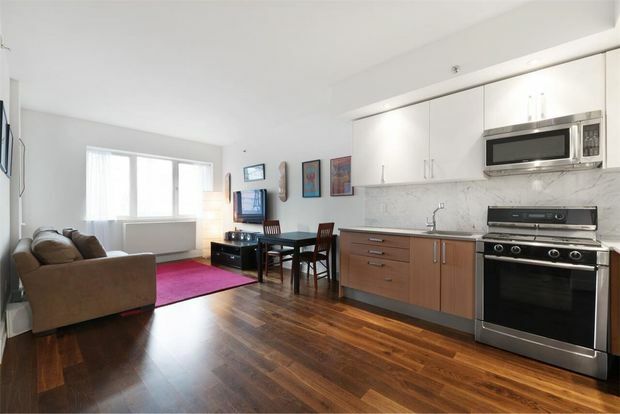 Check out this sleek one-bedroom condo on the edge of Cooper Park in the Olive Park building. The apartment features stainless steel appliances, marble countertops, a deep soaking bathtub and a spacious bedroom and living room. Beyond the confines of the apartment, however, the building boasts resort-like amenities from a Jacuzzi, sauna and indoor saltwater pool to a billiards lounge, a roof deck and a shared zen meditation garden. Open house: Sunday, Dec. 11 from 12 to 1 p.m. 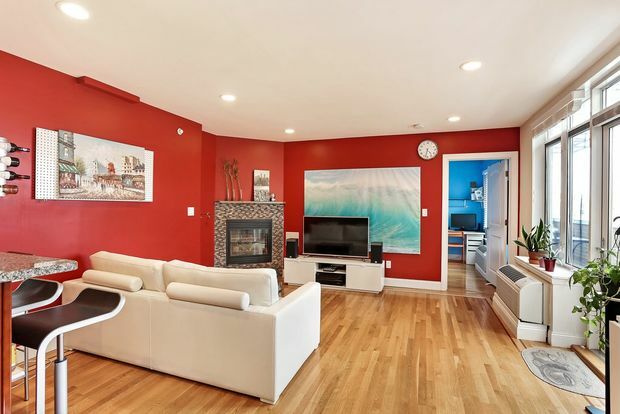 Located inside the Crescent View Condominiums, this one-bedroom unit features a gas fireplace, dishwasher and outdoor terrace. The building itself has laundry on every floor, a gym, bike storage and an outdoor common area with barbeques and patio furniture. 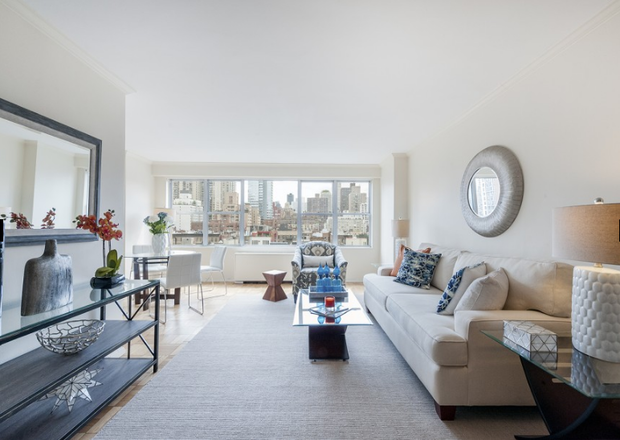 Open house: Sunday, Dec. 11 from 2 to 3:30 p.m.
With a walk-in closet in the bedroom and a private terrace, this roomy one-bedroom is steps to Lincoln Center, Central Park and a subway stop. The building also comes equipped with all kinds of amenities, from a play space to a gym to a bike room.